Gina is 6 years old. 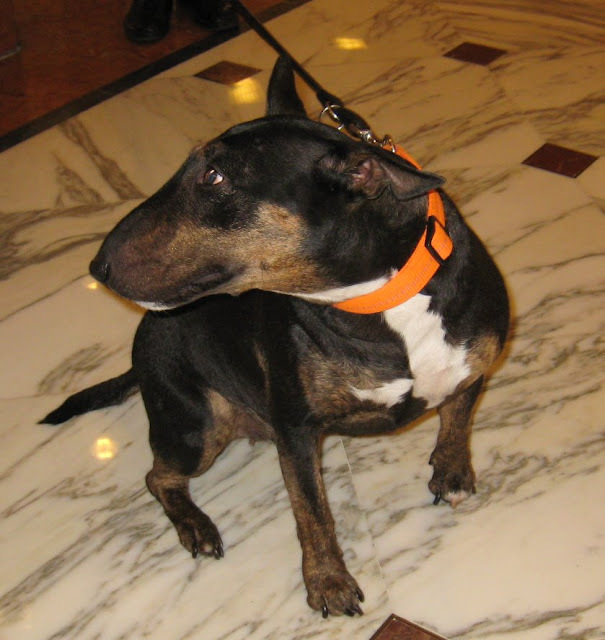 Her owners tell me she is a Miniature Bull Terrier, as opposed to the normal size. She lives at Cap d'Ail with her charming German owners. This photograph was taken in the luxurious Metropole Centre. If you'd like to see what the dog who has everything would like - please click on the link. Maybe Gina will get it for her next birthday? I love the colors on her.